?- enter a question mark to perform a single character wildcard search. 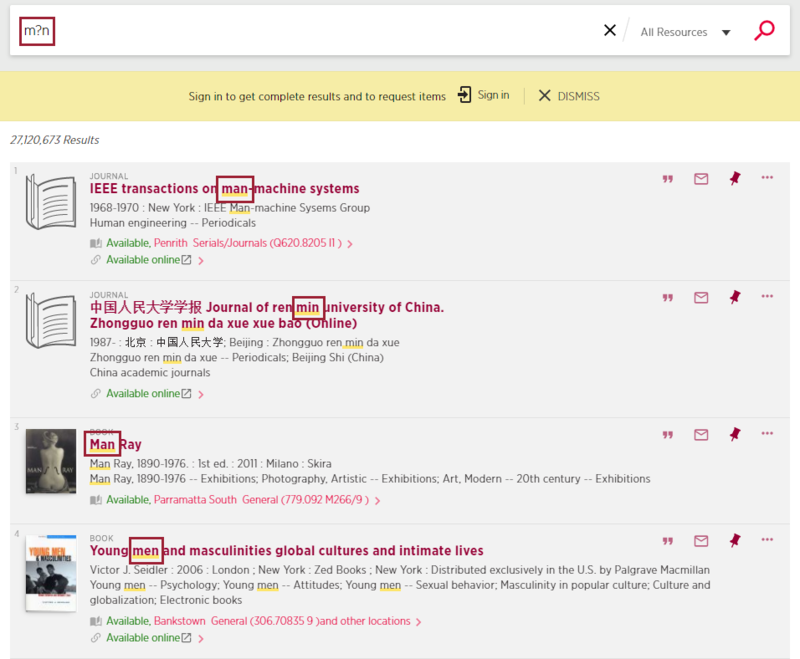 For example, type m?n to search for records contain man and men. *- enter an asterisk to perform a multiple character wildcard search. 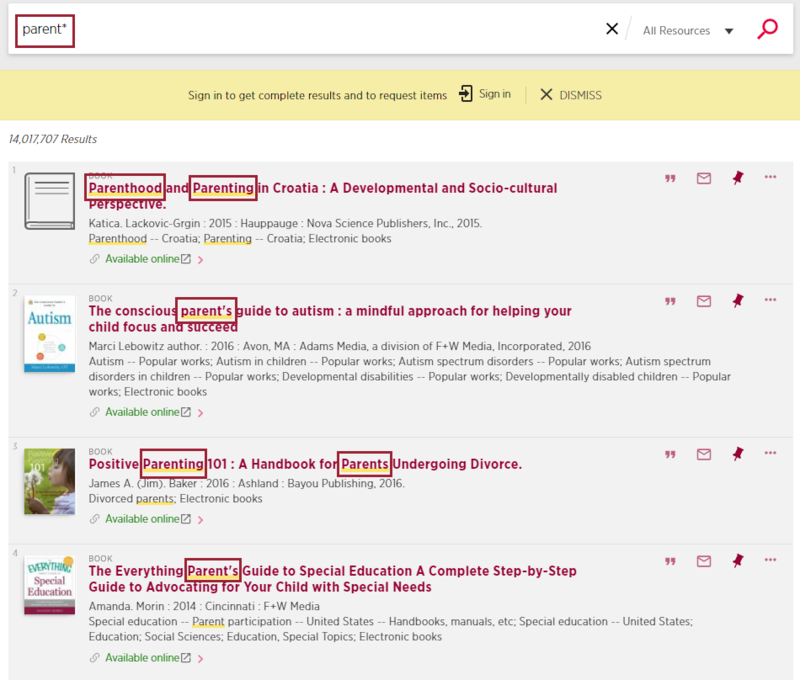 For example, type parent* to search for records that contain strings, such as parents and parenting. Wildcard characters placed at the start of a search term are ignored by the system. For example, search terms entered as ?ale and *ale will perform a search as though you entered the term ale.